Noosa’s top-end property market has been on a winning streak this year, after the town cracked the $10 million mark to pave the way for several double-digit sales since. 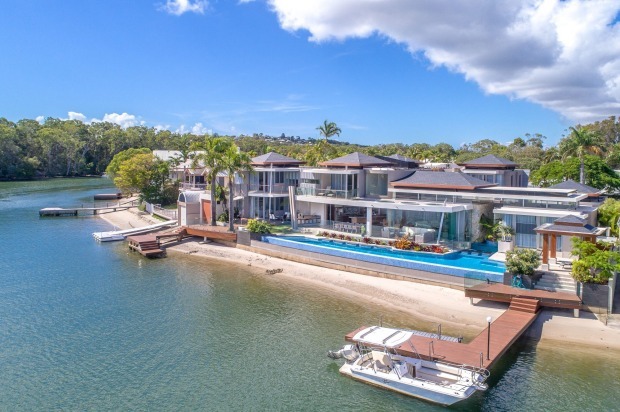 Late last year a six-bedroom waterfront home in Noosaville with a 25-metre infinity pool and and two boat jetties set a new record when it was bought by celebrity accountant Anthony Bell and his wife Kelly Landry for $10.3 million. 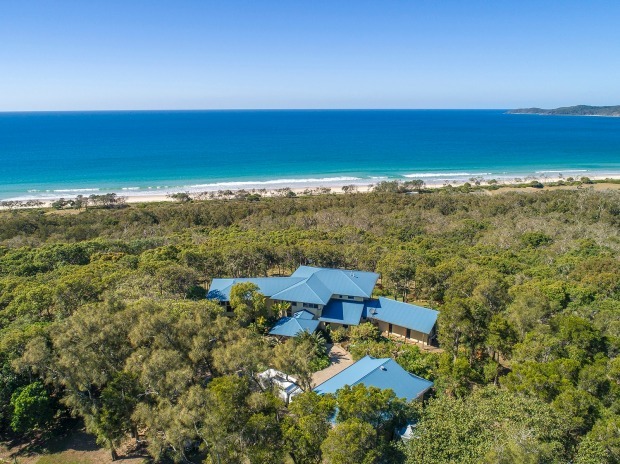 Just days later a home with private beach frontage at 312 Teewah Beach Road on Noosa’s North Shore sold for $10.75 million, through Christie’s International. The two sales kick-started a spate of top deals, with another four homes selling for more than $10 million so far this year. 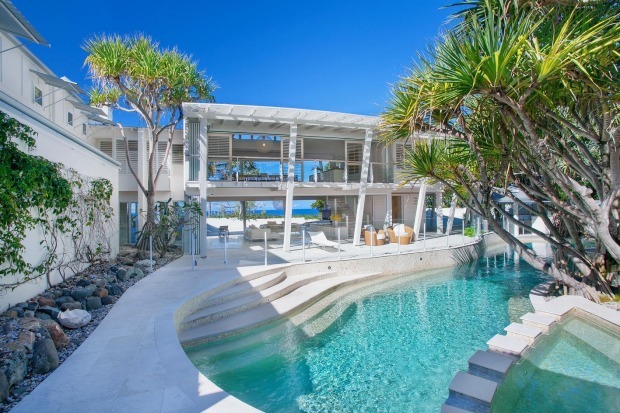 This home at 312 Teewah Beach Road, Noosa North Shore, sold late last year for $10.75 million. The most recent, a $14 million five-bedroom mansion at 2 Belmore Terrace overlooking Sunshine Beach, sold to an interstate buyer before the home had officially hit the market in August. “They flew up, loved what they saw and signed an unconditional contract on the spot,” said selling agent Tom Offermann, of the eponymous agency. Most of the ultra-premium sales in Noosa were as a result of another sale of property or business, according to Mr Offermann. While he declined to comment specifically on his clients, Mr Offermann said those in the market for top-end homes in Noosa tended to be mostly from the east coast, as well as expats living in Singapore, Hong Kong, Shanghai or Tokyo. 29-31 Wyuna Drive, Noosaville was the first home to sell in Noosa for more than $10 million. Recently Singapore-based Equis Energy chief executive David Russell was revealed on settlement as the buyer of Noosa’s most expensive home, which he purchased through his company this year for $18 million. The transaction came not long after Equis Energy agreed to sell its wind and solar portfolio to a consortium of global investors for $US5 billion in a landmark deal. Similar to Sydney and Melbourne’s top end, Noosa’s prestige market has been less affected by the tightening of lending conditions that has caused other segments of the property market to weaken. Of the 10 top sales in Noosa this year, nine were cash transactions while just one was conditional upon finance, Mr Offermann said. Pat Rafter and his wife sold their house for $15.2 million. Tennis star Pat Rafter and his wife recorded the second-highest price this year when they sold their Seaview Terrace property for $15.2 million after initially listing it in 2016 for $18 million. Mr Offermann said there would be about 50 homes in Noosa worth more than $10 million, while several properties currently under construction had building costs in excess of $15 million. The most sought-after locations in Noosa are Sunshine Beach, the canal suburbs of Noosa Sounds and Noosaville as well as Little Cove, which is nestled between Hasting Street and the national park. Noosa is home to several billionaires and high-profile business people including Flight Centre managing director Graham “Skroo” Turner, founder of Super A-Mart John van Lieshout and Budget Rent A Car Bob Ansett. 2 Belmont Avenue Sunshine Beach recently sold for $14 million.